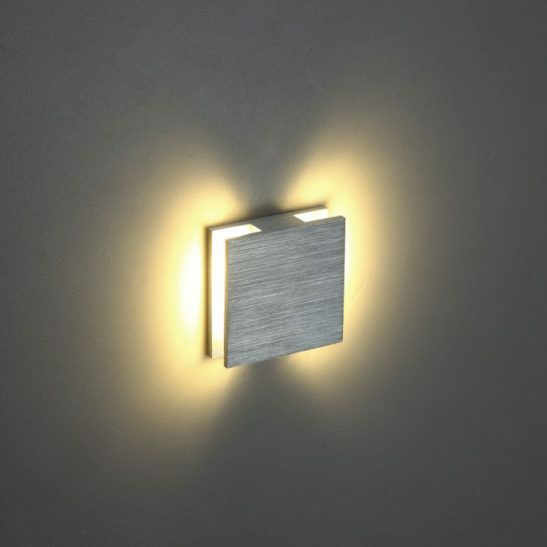 The Leon 8 watt 250mm wide brushed silver LED wall light is a modern indoor wall light made from high quality materials and looks sleek and sophisticated. This modern wall light features high quality two strips of 4 watt SMD LEDs with an output of 800 lumens of light. 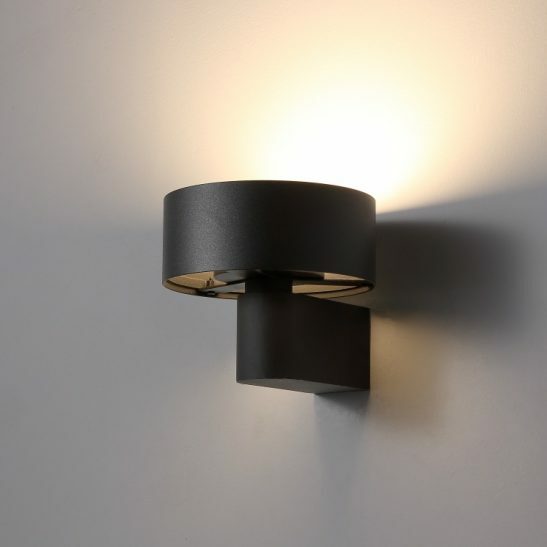 This surface mounted modern wall light is finished in brushed aluminum with an opal top and bottom cover. The LED driver for the light sits inside of the fitting. Measuring 250mm wide and 70mm high the light projects 80mm from the wall. 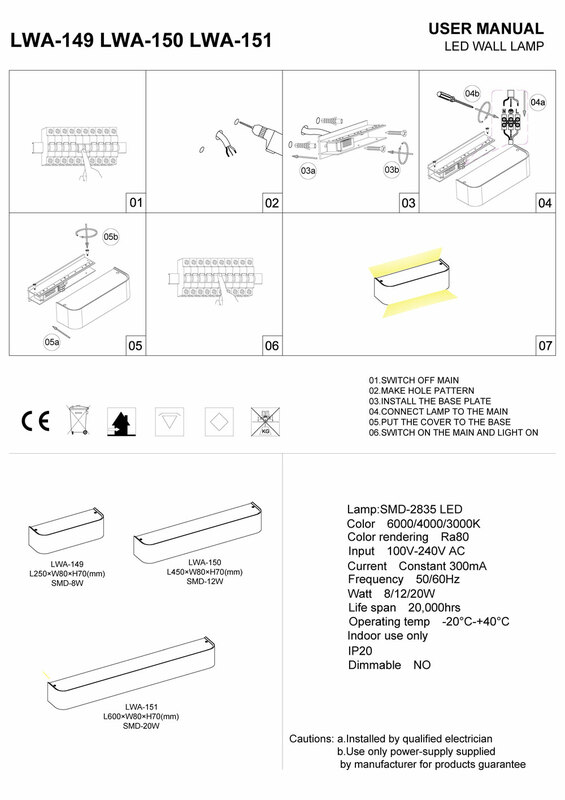 The LED driver sits neatly inside the fitting and connects into your 240 volt supply main. 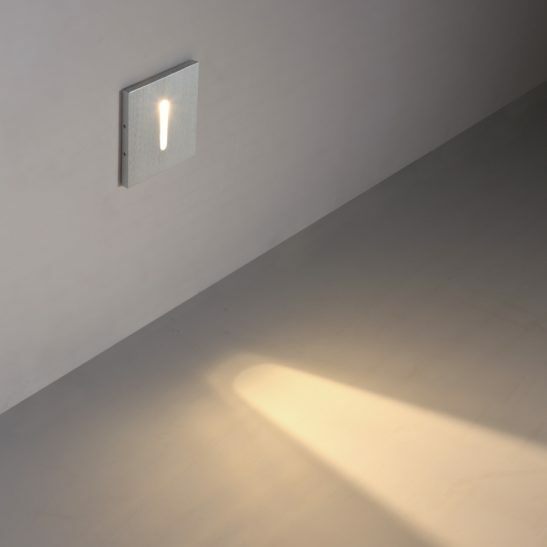 Installation of the light should be left in the hands of a licensed electrician. 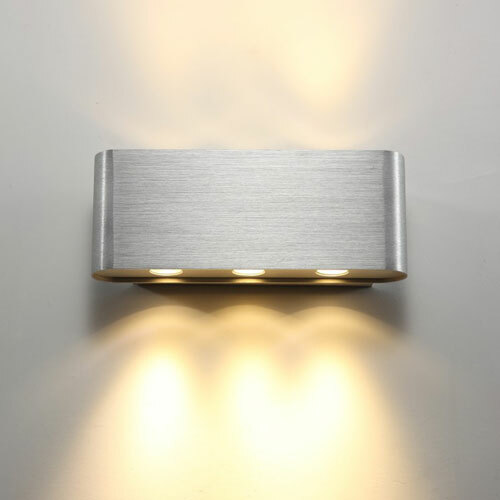 With an IP20 rating this Leon 8 watt light is designed solely for indoor use and is not suitable for outdoor lighting. This attractive light washes the wall both up and down and provides 20,000 hours of maintenance free light. 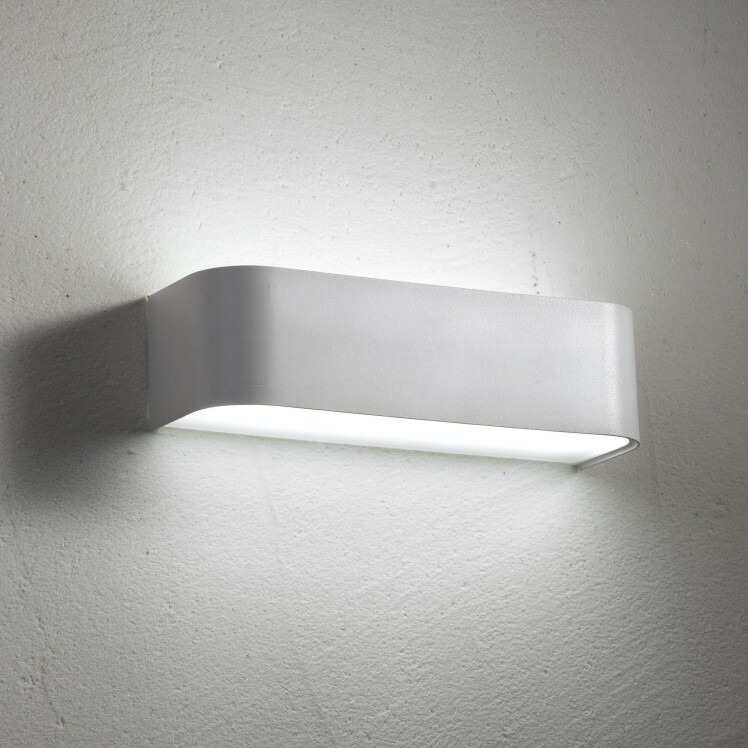 This wall light has the LED hardwired right into the lamp so there is never any light bulbs to change. 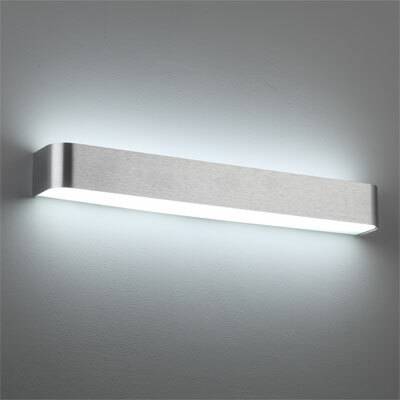 It is also highly energy efficient costing far less to operate than more traditional lighting choices. 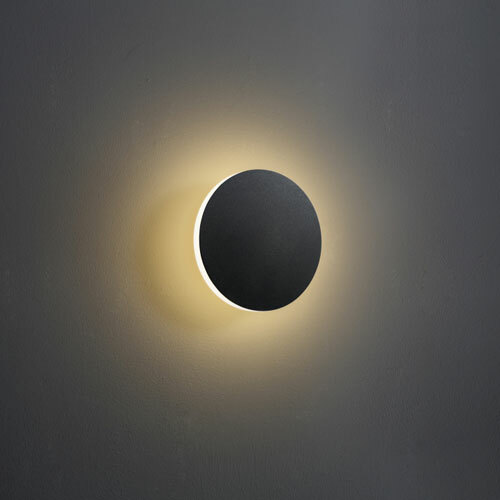 In addition, this light is 100% recyclable. 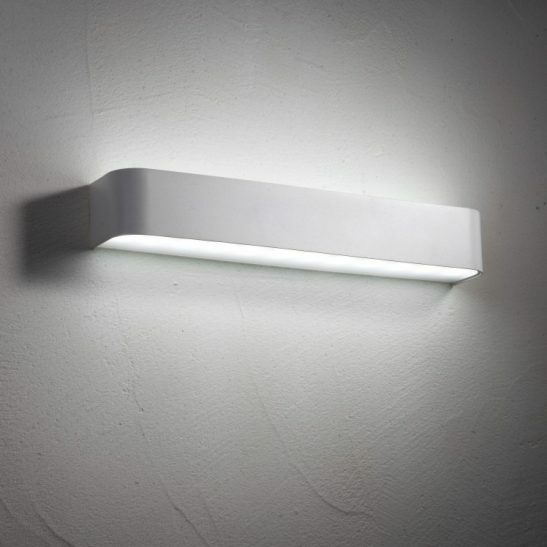 Since this light comes with a lengthy 3 year warranty you can rest assured that this light is built to last and will provide you several years of high quality dependable lighting for any room in your home.